Not every woman has a disposition of being a mother and building a family right away. It is especially true for females who have busy careers, want to continue living a carefree life, and those who don’t want to get married and have children. However, it is hard to brush off the maternal instinct of wanting to be a mother as the years pass. Then, you start questioning yourself if you are ready to be a mother. If this is the case, then it wouldn’t hurt to look for signs if you already have what it takes to be one. As women, this is a crucial phase in our lives which needs deep thinking and consideration. Are you ready to have a little misfit kick in your stomach and then push them out of your body? Or maybe it’s just hormones kicking up inside you? 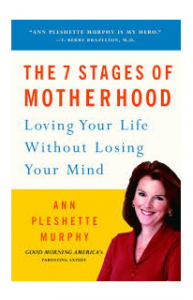 Here are the things that indicate if you are ready for motherhood. A good, loving, stable relationship: It is actually a no-brainer. If you are going start a family, you need someone who can be there with you through thick and thin and someone that you can see as a good father to your children and husband to you. Experience in disciplining children: It is a reference for motherhood instead and not a requirement. It means a lot if you have skills in disciplining children as a nanny or aunty to your niece. You already have the ample image of what you will go through when you become a mother. You will have to do everything you did as a nanny in a more difficult level for the next 18 years, and this is a fact. Changing diapers, making baths, readying the bottle feeder, and reading bedtime stories are just some of what you have to do and if possible need to learn earlier. To be short, being a mother is shown by how you take care of your children. A place of your own: It may not be a direct indication, having a place of your own is a sign of readiness for motherhood. It is tough to do this feat these days unlike decades before. Most of the times, earning enough to move out is hard enough let alone saving up to get a place of your own. Living frugally and saving up for years to be able to buy a house is a sign of responsible spending. You can budget what you earn and avoid buying things you don’t need is a good sign. Responsible spending is a quality of readiness to be a mother. Ability to multi-task: Most women have this ability even before entering motherhood which is quite good. For wanting to be mothers who still want to thrive for their career, this is a must. It is hard to do your motherly task while doing your work. However, by time management it is not impossible. We hope that these little pointers we have had given you enlightenment about the crucial choice you need to make. Just remember that decide using both your heart and mind. Only with non-ambivalence decision will make satisfy you all the way through.